Welcome to the MBA rankings thread. Below you will find links of the various ranking lists. e.g. Full time, part time, international, etc. Click on the respective link to see that ranking. US Business School MBA Rankings - See the table below. There are 5 schools in the Top 3. How does that work? Lots of Ties - most of the schools are tied. It seems US News has a harder time ranking schools and they are probably a bit lost. It is now 1, 2, 3, 6, 9, 10. Tuck dropped out of T10. Fuqua and Yale are new entrants in T10 league. Fuqua making it for the first time. USC Marshall and Warrington (Florida) have been making spectacular improvements since last few years. Warrington has jumped from #40 to #25 in the last 2 years (greatest improvement for any US school in 2 years). USC Marshall has been ranked #17 this year; It was ranked #20 in 2019 rankings, #24 in 2018, and #31 in 2017. Haas finally broke #7 barrier, taking 6th position. It was ranked #7 consistently in last 12 years rankings. Click here to see further insights about latest US News rankings. Originally posted by Narenn on 26 Aug 2010, 04:35. Last edited by Narenn on 14 Mar 2019, 05:12, edited 157 times in total. Originally posted by bb on 28 Aug 2010, 21:56. Last edited by Narenn on 29 Apr 2018, 22:08, edited 2 times in total. 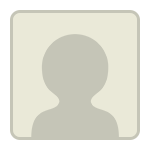 Originally posted by Narenn on 31 Aug 2010, 09:53. Last edited by Narenn on 28 Jan 2019, 09:17, edited 1 time in total. Interesting comments on MBA rankings by users. 1 - Harvard - no question about it, will open doors anywhere in the world. 2 - Stanford - (I personally would attend Stanford rather than Harvard). 3 - Wharton - Most of the class was dinged by H/S. 4,5,6 - MIT / Kellogg / Chicago - not in any particular order, depends much on your future career goals. 7 - Columbia - the "M7". "The label M7 is a far less official term than "ivy league". The ivy league itself is an athletic conference in which members set high standards for student athletes. People have come to associate it with academics. The forum legend is that "M7" was coined by a Columbia dean who referred to a meeting of top business schools. 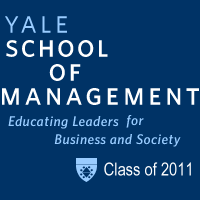 It is a challenge to find any business school that uses that term in their admissions materials or websites (contrast this with the use of the 'ivy league' name). To be blunt, people use these terms to associate their schools with better ranked schools. How often do you hear HBS bragging about being in the M7? Or Yale reminding people it's in the Ivy League? If someone says "Top 10", they mean Tuck, Ross, Haas, or <insert whatever school you insist belongs in the top ten, thus proving my point". I believe that US news rankings are the best but this is sad that they don't provide overall ranking..
WE 2: AGNI Biopower Energy Pvt. Ltd. Thanks for posting this exhaustive information about the top B-shools.... One thing that is not clear from this list is what this Fin Aid figures mean? Can you please explain this part a bit? Yeah I think most people hold the Economist and FT rankings in pretty low regard. Frankly anyone who doesn't think the rankings go H/S/W every year is pretty suspect. The yield and starting salaries tell the tale of which schools students and employers value the most. Welcome to GMAT club! that's application deadlines, such as around one, around two, etc. I tend to share this view, with the exception that I would probably give H/S at a tie at #1 and Tuck/Haas a tie at #8. Most people will go to Harvard over Stanford, and Tuck over Haas, but these schools each have their own unique strengths. In today's environment, I'd probably put Michigan at #10, largely due to the very well-rounded career placement of Ross graduates. According to John A. Byrne the ranking will be live on Nov 11th. Can't wait till I can find out how many places my school fell below Southern Methodist University. Yeah, it is kind of absurd. Thankfully, employers don't spend as much time looking at these things as we, their future employees, do. This is what makes little sense to me. According to Businessweek, SMU was the WORST bschool for recession placement. So why on earth would that school have a large increase in rankings and how on earth would that lead to large student satisfaction? Doesn't matter how great my professors are; if I don't get a job, I will be angry as hell. Seems like businessweek's rankings are absolutely nonsensical. So ignore them altogether.